I enjoy making work that has an implied story with a whimsical flavour, that brings a smile to the viewer. Usually there are references or visual cues that play together to suggest a context and a concept or story. Maple (Acer campestre) and there are many varieties in New England from Norway maple, clear and white, to birdseed or curly maple with lots of figure. I find the interplay of surfaces and form fascinating. How some surfaces enhance form and others change the expressive character of the form. I don't have much interest in clumsy form, surfaces, or wood dust! My work is moving more towards non-functional pieces or art in wood, as it is often called. 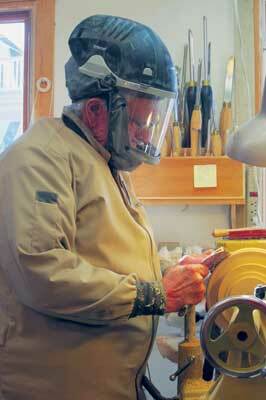 However, I derive great satisfaction from making functional work and how it serves to improve my turning skills. Depend on form and surface to give your work its core quality and don't just rely on the wood species. Keep a lot of pine (Pinus spa.) and poplar (Liriodendron tulipifera), less expensive wood, around the workshop to practise on. Always expect to make several pieces so you can choose the best one to represent your work. I also think it is always best to work mindfully. I usually listen to jazz in my studio and when I take a break, enjoy looking at picture books on nature and various other artists. 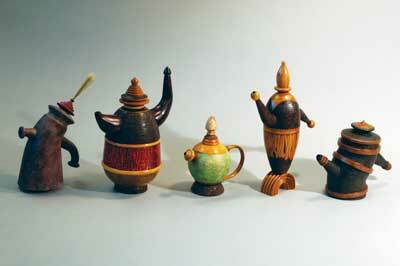 I'm working on a teapot that will be titled, 'Tea for Two'; it will have two spouts and two handles. Something to smile about. 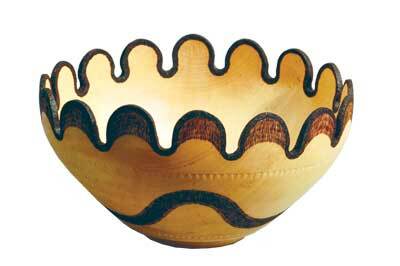 While I enjoy all aspects of turning, making a classic bowl gives me a lot of satisfaction. Michael Hosaluk for his continuous creativity and generous spirit; Binh Pho and Joey Richardson for their craft, narrative and art. The scroll chuck and a broad range of surface treatments. Judging work on its technical virtuosity rather than its artistic merit. For example, too often a bowl is thought to be successful because it has been turned thin rather than having its form, grain figure, and other visual characteristics carefully considered. Not spending more time turning. Colour and form in nature. Sharp tools, safe practices and my dust collection system.